Mark E.'s journey has been a difficult one. But he has worked hard at his recovery. His journey and success story only get better. Mark says that he was diagnosed with schizoaffective disorder, depression and alcoholism. For years, Mark says he had no idea he had mental illnesses. The way Mark dealt with everything was to self-medicate by drinking. When Mark drank, he says he would end up using drugs, too. While Mark shares these memories, he shakes his head and says, "I used just about everything under the sun and moon." Mark says he struggled with alcoholism the most. He didn't do drugs, unless he drank and was around other people who used drugs. Mark says he would feel depressed and paranoid, so he would go to the store and get a 12-pack of beer and just drank and smoked. Mark decided to stop using alcohol and drugs, because his depression got worse and worse. Mark says he couldn't keep a job. Then, Mark got two DUIs. The fines took most of his money. Mark ended up homeless, but he kept drinking. Mark joined CODAC in 2014. CODAC's behavioral health team did a psychological evaluation and determined he has serious mental illnesses. Mark says he also went to La Frontera, where they helped Mark apply for all of the benefits he could qualify for. Mark received food stamps, housing and disability benefits. Mark hasn't drank or used drugs in nearly three years! Motivation has really helped him. Mark says he's attended recovery groups since 2015. Mark also takes medication on a regular basis. Mark says he sometimes has the temptation to drink, but he goes on walks instead. He also visits the library or rides his bike. Mark has changed the friends he hangs out with, as well. He now surrounds himself with people whom he can talk to if he has a bad day. Why is Mark a success story? "I think staying sober and being able to accomplish things, being motivated is what makes me a success story," he says. "Get help. Life is too short. Things get better day-by-day." Remember, success is a journey, not the end of the story. I started out living the hard life. In-and-out of foster homes, jail, and mental state hospitals, with very little family support. By the age of 7, I was introduced to the worst humanity has to offer. I grew up feeling alone, abandoned, unwanted and unloved. By 16, I had already experimented with multiple drugs and other illegal activities, as I tried to fill a big void. At that age, I also learned I was pregnant. Unlike my parents, I wanted to love and care for my child. Unfortunately, love is all I could offer. So, I gave my little girl up for adoption. Since my younger years, I have strived to better myself. I am still in the process of learning to love myself and take care of myself. I now have a good job. I have stayed sober, and have my own apartment. I also regularly attend CODAC groups and I'm enrolled in school to learn more skills. I still have a hard time with life, but learning coping skills and making healthy choices has improved my life so much. I am grateful for life now and grateful for the support I'm surrounded with. I would suggest to anyone to work on loving yourself and being the best you can be. For a long time, Brittany struggled to figure out exactly what was going on with her mind and emotions. Eventually she was diagnosed with bipolar disorder that she had been attempting to manage through drug use. "The staff made me feel cared for as a person. My recovery coach helped me find resources, held me accountable and saw something in me that I didn't know was there," she says. With the guidance from her Recovery Coach, Brittany was provided tools to better manage her life. These included bus passes (to get to her to treatment sites, appointments, and to find employment), support finding a job, and even permanent housing. "When I think of myself before I was sober, I remember feeling disgusted, ashamed, lonely, and exhausted," shares Jack M. a member with CODAC. Jack's drug use began with recreational pills use and escalated to daily heroin use after a bad break up. Since June of 2015, as part of probation requirements, Jack attended support groups, individual therapy and received medication-assisted addiction treatment to support his recovery from opiate addiction. For a long time, Jack's struggle with addiction was back and forth from relapse to sobriety. It wasn't until he realized the reality of the consequences of his addiction, that he found the focus and strength needed to work on himself and move forward in reaching sobriety. "If I continued to relapse, I knew I was going to end up in prison," he says. When Jack first began treatment and support services with CODAC, he was in an intensive program; he attended ten groups per week for six months. "I began to notice a change within those first few months," he says. "I began completing all my assignments and really absorbing the tools I was given. I started gaining weight and getting positive feedback from others. I began to feel proud." As things continued to positively change, Jack had a renewed outlook on life. "I didn't have to worry about drugs, which was all I use to think about from morning till night," he shares. Support groups provide useful tools for coping with addiction triggers. Jack learned to change his routine to establish new and healthy behaviors and also learned to identify and pay attention to his thoughts and feelings. Working alongside other men who understand addiction has been helpful for him. "I think that the male partnerships and fellowships are a big part of recovery. Having the guys here is like going and hanging out with people who understand." Therapy was also a big help in Jack's recovery. "The opportunity to work with someone one-on-one and really connect to deep core issues is really important, especially as a man," says Jack. Jack explains that, for men, it can be hard to admit that they have issues to work through and even harder to ask for help. He credits his success in his recovery not only to his treatment but also to the many meaningful activities that fill up his days. When he isn't working, Jack attends community recovery groups, goes to church and coaches little league baseball. 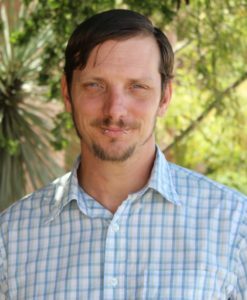 Jack is now sought out as a mentor within the program and staff send new members to Jack as a peer who can share his positive successes in recovery with others. "CODAC has definitely been a miracle for me." 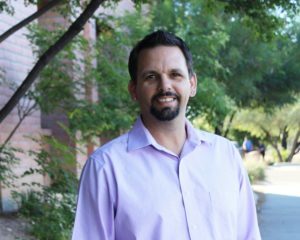 Edward B. worked successfully in a high-stress and fast-paced job as a dispatcher for the Tucson Fire Department while juggling the demands of being a husband and father to two young children. In 2014, his marriage began to crumble and the added stress took a toll on his mental health. Edward stopped taking his medication, stopped meeting with a therapist, wasn’t sleeping and felt like he was losing his grip on life. The crushing weight of anxiety and depression were controlling his life, keeping him confined to his house. Days melted into weeks which blurred into two years of essentially no social interaction and an overwhelming feeling of hopelessness. “There were days where I wouldn’t even leave the bedroom or go outside,” he shares. One evening in 2015, after taking a prescribed sleep medication, Edward accidentally drove his vehicle through a neighbor’s wall. He has no memory of the crash; he was charged with criminal damage and sentenced to probation. This offense was the first and only mark on Edward’s record. As part of his probation guidelines, he was ordered to take his medications, attend therapy and find work. With the gentle nudge of a few friends and colleagues, Edward was ready to admit to himself that he really did need some support. He was ready to actively seek help. Edward found his way to CODAC where he participates in individual therapy and attends support groups. Edward also uses CODAC’s Employment Service Center to help him develop the skills he needs to find a job. One place he always feels safe is CODAC. Edward shares that every part of his experience with CODAC has been warm and welcoming. With the ongoing support of Employment Specialist Pamela Taggart, Edward was able to rediscover the skills he felt that he lost. Pam worked with Edward on his resume, practiced interviews, and empowered him to find the self-worth that he didn’t see was there. “I wasn’t going to allow him to give up,” shares Pamela. Pamela’s shared experience of overcoming challenges in life in recovery offered encouragement and hope to Edward. She became a support he could lean on and a coach to help him navigate the challenges of finding a job while coping with mental illness. “I was often told that I was overqualified for some jobs and then was rejected for others because of my record. This was a hindrance and a barrier for me that was really challenging to deal with. Pam was able to help me understand that it is okay to start over,” he says. Just recently, Edward accepted a position at a local grocery store. He is motivated by his team at CODAC and the desire to prove that he is an exceptional employee. Edwards’s new job is one of many positive steps taken towards putting the pieces back together. He plans to stay active in his treatment to maintain his recovery. Pam is proud of this accomplishment in Edward’s life but knows there is far more in store for him. “His story is certainly not over, but it is off to great new start,” she says. For a tree to grow, it must have two basic requirements: nourishment and a strong foundation. Both adaptable and resilient, trees thrive under harsh conditions and renew themselves as time passes - just as Ron has. “My whole life has been nothing but bad roots and bad soil,” shares Ron H., a 36-year-old CODAC member. “The roots of addiction take hold of you from the inside and do not want to let go,” he says, relating his metaphor to a past that has been tainted with trauma, anger and low self-worth. Ron has been a member of CODAC since he was sixteen years old. As a teenager, he was getting into trouble for selling drugs at school and running away. As an adult, he struggled to manage his anger and impulses to use drugs. It took an open case with the Department of Child Safety (DCS), burglary charges and the likelihood of time in prison to open his eyes to the reality of the direction his life was headed. 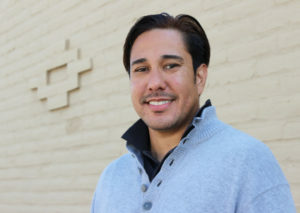 With the support of CODAC’s Men’s Recovery Services team, Ron entered CODAC’s Intensive Outpatient programs and moved into the men’s transitional living facility referred to as 20th Street House. He attended therapy and support groups, participated in individual therapy, and reevaluated the kind of person he wanted to be. “Stress was lifted from all of the things I was overwhelmed with,” he says. Ron explains that when residents of the 20th Street House don’t have to worry about the basics of living such as food and rent, it opens up space for the men to focus on their recovery. Ron credits a large part of his recovery to the Peer Support Specialists at CODAC. “These men have been through the wringer and are where I aspire to be someday,” Ron says. Peer Support Specialists play an important role in supporting the recovery and independence of members. They act as advocates and mentors to people living with substance abuse and mental health disorders. Today, Ron has over a year of sobriety under his belt. His DCS case is closed and he spends time with his children on a regular basis. He has found employment with the support of CODAC’s employment specialists. Ron is focused, passionate and determined to keep moving forward in his recovery and in achieving his goals. “The experiences I have lived can help me understand where others are coming from. I can relate and use my experience to guide them in the right direction... That’s what CODAC has done for me,” says Ron. “Drugs were my best friend,” says Kristy as she reflects on her 25-year long struggle with addiction. 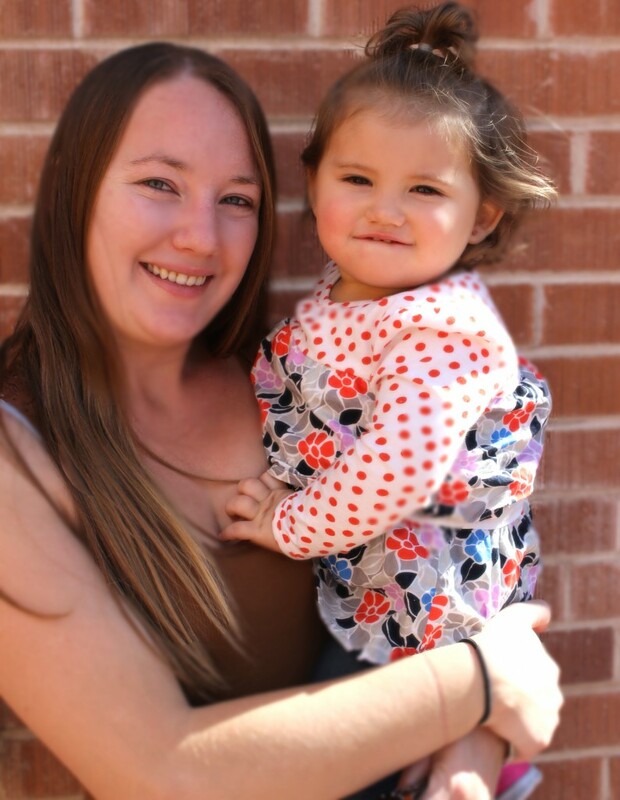 Her harmful relationship with drugs ended when Kristy, a mother of four, entered treatment at CODAC’s Las Amigas residential treatment program three years ago. “I was in a desperate place in my life, and I just fell to my knees and prayed for help,” she shares. Kristy was homeless and had an open Department of Child Safety (DCS) case that risked custody of her children. Kristy’s call for help was answered when she saw a CODAC sign across the street from where she stood. With tears in her eyes, she knocked on the door and was greeted by a staff member who guided her through the next steps towards sobriety. 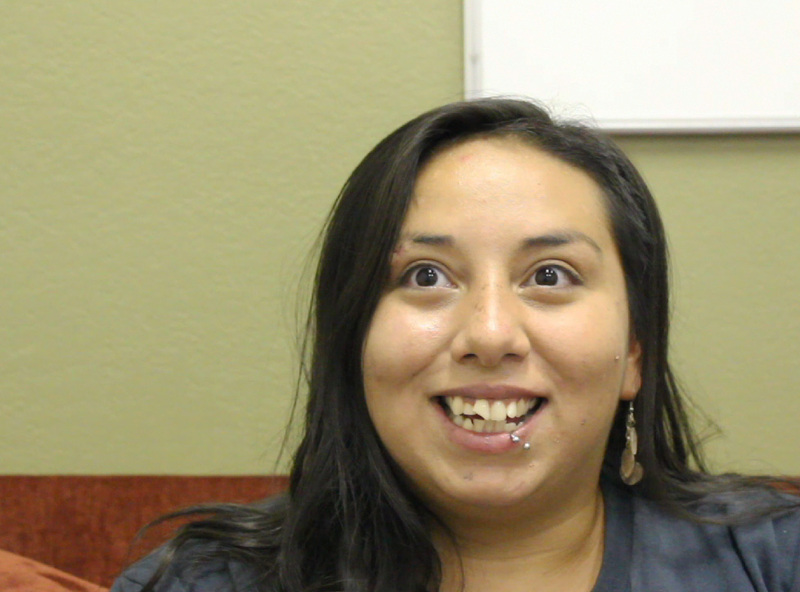 Kristy was informed about Las Amigas, CODAC’s residential treatment center for women living with an addiction disorder. Kristy’s first week at Las Amigas consisted mostly of sleep. Common side effects of withdrawal from methamphetamine include decreased energy, lethargy, and depression. Once she had overcome the hurdle of withdrawal, Kristy was able to focus on her recovery. 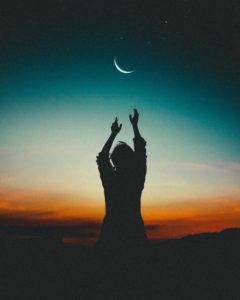 She actively participated in one-on-one and group therapy sessions, learned relapse prevention techniques, developed healthy parenting skills, and learned how to heal from past trauma. “I was able to learn about why I used drugs and realize things about myself that I wasn’t aware of.” Kristy shares that, through her therapy, sessions she was able to realize that part of her drug use was linked to poor self-worth and depression. Kristy’s life is proof of this. 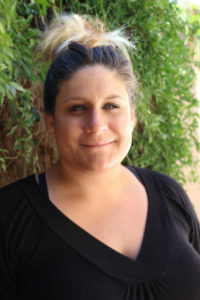 Since completing her treatment program at Las Amigas, Kristy has maintained employment, completed her GED, lives in her own apartment with her kids, closed her DCS case and is seeking a career as a Peer Support Specialist. Paul and his family outside of their apartment home in Tucson. “There is no explanation to describe the love for your child,” says Paul W.
Paul sits amidst an apartment full of toddlers’ toys. Behind him lies a stack of stuffed animals, dolls, a tricycle and many family photos. His three-year-old daughter smiles shyly from behind her mom and introduces the tiny black kitten that her parents recently adopted for her. Paul’s relationship with his three-year-old daughter, Hazel, is the focus of his life. He never imagined that she would be taken from him as a consequence of his addiction to opiate drugs. After being hurt in a car accident, Paul was prescribed pain medications for a span of several months. When the refills ran out, Paul experienced the harsh and uncomfortable symptoms of withdrawal. “I never knew what addiction was or felt like,” shares Paul. He knew that to feel “normal” and to avoid feeling sick, he had to find more pills. Buying pills off of the streets satisfied his need for some time, but when it started costing too much, he turned to a cheaper and even more addictive drug — heroin. Paul’s daily drug use became his main priority, ranking above being a responsible father for his daughter. The wake-up call that Paul needed happened when the Arizona Department of Child Safety (DCS) took Hazel. Paul was referred to CODAC’s Men’s Recovery Services for treatment so he could have a chance to reunite with his daughter. This intensive outpatient treatment program provides specialized addiction services for men, including case management, peer support, psychiatric care, and individual, couples, family and group therapy. As part of the program, Paul attended support groups related to addiction, relapse prevention, parenting, and more to keep his sobriety on track and to learn to be a healthy father again. Paul became a role model among the other program participants for his determination to stay sober, for himself and his family. ““As Paul has learned and grown, he has been unafraid to help other members by sharing his experience, strength and hope,” says Dan Krepps, Program Coordinator for Men’s Recovery Services. Paul has done just that. He now possesses the skills to stay sober and to be a healthy parent and partner. On October 20, 2015, Paul’s DCS case was closed early and he and Hazel were reunited for good. He now has over a year of sobriety under his belt. Paul assigns the success in his recovery in part to his daughter, but also to the unconditional support he received from the staff and other members in CODAC’s Men’s Recovery Services. “They are always here for you - If you’re feeling down, need a friend to talk to, not feeling yourself, you can go there and always find the support you need,” Paul says. Dan shares that Paul‘s sense of purpose and diligence to his recovery is an encouragement for others who might be seeking help for the same reasons. Until recently, Bonnie W. lived with a broken spirit and shattered self-esteem. Her feelings and outlook on life paralleled the fragility of the delicate ceramic pieces she creates. Years of trauma, loss and emotional and physical abuse left her feeling vulnerable and alone. “When I think about the trauma in my life, it’s not like it’s just a hangnail,” Bonnie shares. “It’s the house burning down, the loss of a child, and multiple divorces…,” she says as she lists traumatic experiences that molded her life. 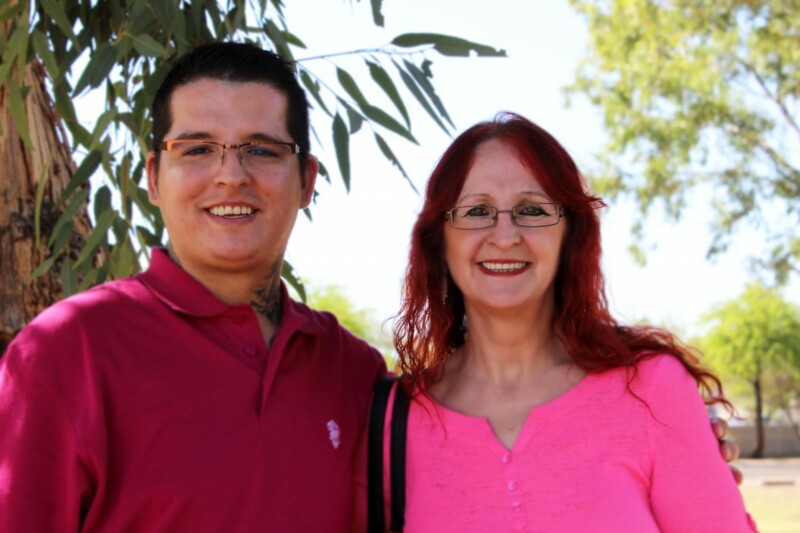 After enduring more than eight years in an abusive relationship, Bonnie fled to Tucson from Missouri with the help of her son, Michael. For many victims of domestic violence, the decision to leave an abusive relationship can be incredibly challenging. There are many reasons why it can be hard for people to leave abusive relationships, but Bonnie had the support of her son, and was ready. Even while living hundreds of miles away, Bonnie feared that her husband would find her. This fear consumed her life and fueled a quickly escalating depression. “I remember crying so much, that I didn’t think I would ever stop,” says Bonnie tearfully. Her depression was severe enough that, more than once, she attempted suicide. Friends and business partners Al and Bonnie started a new business called "The Art Project" where artists in recovery can have a safe and empowering space to create. With the gentle support of an encouraging neighbor, Bonnie sought help from Emerge!, a local agency that provides services and treatment for victims of domestic violence. Bonnie showed up to support groups and, many times, would just listen and absorb the shared stories of other survivors of domestic violence. Emerge! 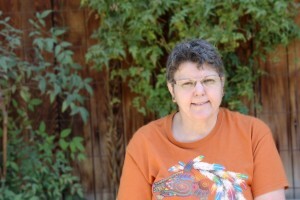 connected Bonnie with behavioral health services at CODAC where she actively participated in groups, therapy, and received medication support to aid in her recovery. Over time, Bonnie became more self-confident, learned how to identify warning signs in relationships and how to recognize her own positive self-worth. While receiving services at CODAC, Bonnie’s Care Manager referred her to PSA Art Awakenings to complement her care. Art Awakenings is an art program that promotes recovery through creative expression and, for Bonnie, was the most influential component of recovery. The referral to PSA Art Awakenings “saved my life,” she emphasizes. Bonnie found comfort in creating art in a space that is safe, comfortable and empowering. Upon completion of her program at PSA Art Awakenings, Bonnie grew increasingly uneasy of what she would do next. 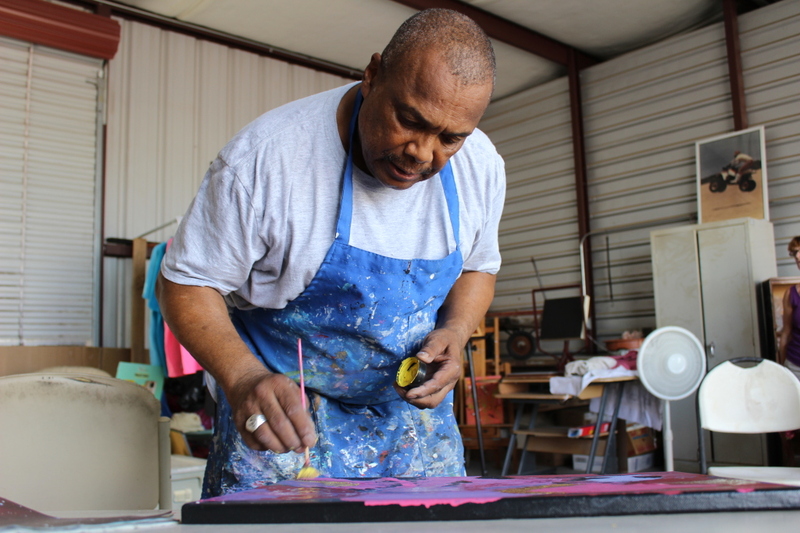 John H. rents space at Bonnie's business where he enjoys creating abstract art with acrylic paint. She felt comfortable among her peers and enjoyed having a creative, safe place with social support. 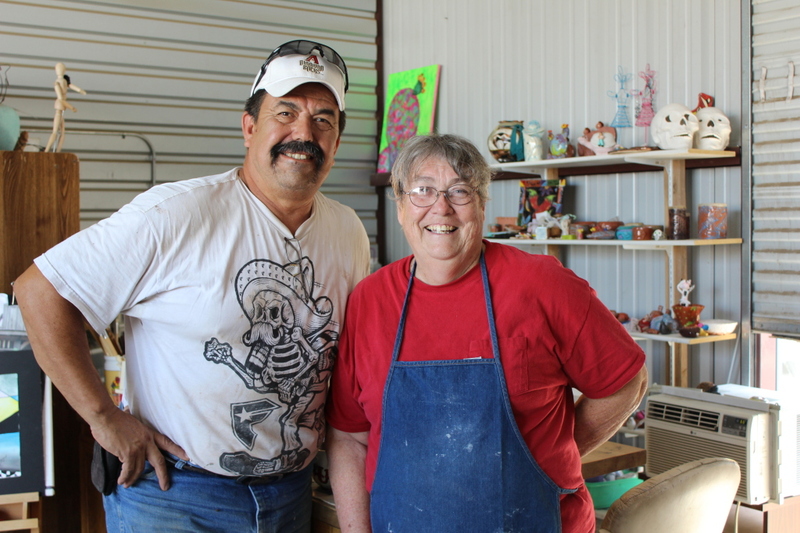 Her talent as an artist had been nurtured and Bonnie had further developed her abilities in ceramics, painting, and graphic design among, other skills. Bonnie brainstormed with her close friend Al Alvarez and together, they created a business proposal to offer a space for artists in recovery to create art. Nearly two years of planning later, Bonnie’s dream has taken shape. She and Al have opened a business called “The Art Project” where artists can do just that. For over a year, Brittany Z. and her boyfriend Steven lived in poverty, coping with addiction. The two survived, thanks to the good will of others. Their beds were in tunnels; their meals stolen from convenience stores. Oftentimes, the two would go weeks without an opportunity to bathe. “It was absolutely terrible to be in that situation,” said Brittany, a soft-spoken 23 year old. Brittany is now embracing more than two years of sobriety and recalls her past with a heavy heart. Though it was painful to endure, she is thankful for the difficult lessons learned during her years of use. Brittany first began using drugs at 18 years old. Her past consisted of risk factors that, for some, can lead to addiction: depression, sexual abuse, and a family history of drug abuse. The first time she used, Brittany gave in to peer pressure. “[Heroin] was like an immediate escape,” she said. From that moment on, she was dependent on the drug. Within one month, her habit quickly escalated from occasional to daily, from smoking to injection. Very quickly, things began to fall apart for Brittany. She lost her job as a hospital housekeeper and could no longer afford her apartment. All she had left was her relationship with Steven and her dependence on drugs. As her addiction continued, fear of withdrawal symptoms discouraged Brittany from attempting to quit. Steven explained to Brittany there was a program that could help. The two began services through CODAC’s Medication Assisted Addiction Treatment Program. Life was still hard. There were still cravings and troubles within her relationship. Brittany desperately needed something to happen and make this struggle easier. One month later, Brittany found out she was pregnant. With the help of medication, therapy, and ongoing support groups, Brittany has been able to manage her difficult journey. Since becoming actively involved in her treatment, Brittany has gained supported housing with her boyfriend, and is participating in a parenting skills class to learn to be a healthy mom. “I want a better life for my little girl,” she emphasized. Brittany continues treatment with CODAC and is in the process of slowly tapering off of her dosage so she can eventually be sober without medication. With her daughter as her motivation, Brittany aspires to one day have a career in the medical field to provide for her family. 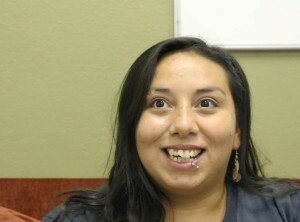 Frances T. was all smiles on the day she graduated from Mental Health Diversion Court. She had officially wiped her slate clean of a criminal charge through her hard work and enthusiasm at required treatment groups. Having never been involved with the criminal justice system before, Frances was uncertain and fearful of what was to come of her unintentional run-in with the law. However, through 12 sessions of Cognitive Behavioral Therapy groups at CODAC, she learned valuable tools that have influenced her thoughts and behavior ever since. Cognitive Behavioral Therapy (CBT) is a form of psychotherapy that emphasizes the role of thoughts and thinking in everyday life. This form of treatment supports the concept that thoughts cause our feelings and moods, not external factors like situations or events. “CBT is a way to restructure negative thought patterns and beliefs that you have about yourself or other situations,” said CODAC Therapist, Alanna Boyd, MA, LPC., who utilizes CBT in many groups and individual sessions. Frances T. is one of many people to benefit from Cognitive Behavioral Therapy offered at CODAC. In her groups at CODAC, Frances participated in a CBT-based group called, “Thinking for a Change,” where members who have been charged with non-violent crimes, learn how to gain control of their thoughts to avoid acting in such a way that could get them in trouble in the future. “The motto of the group is: Our thinking controls our behavior. By taking control of our thinking, we can take control of our lives,” explained Gabrielle Danaher, Care Manager and group facilitator to Frances at CODAC’s Downtown site. CBT is threaded through many treatment options at CODAC. In addition to groups, CBT is offered in individual settings with a therapist who can tailor it to best suit the needs of a person. In many instances, CBT focuses on changing thoughts and perceptions based on becoming aware of negative, false, or inaccurate thoughts as they happen. CODAC member Kristi C. shared that, for her, the CBT approach and a trusting relationship with her therapist have helped her cope with stress and depression in her daily life. “When I get anxious or worried, I now know how to focus on positive things…I know how to move forward and not get stuck in that mindset,” she said. Jackie S. has been living an ongoing cycle of emotional high and lows since she was diagnosed with bipolar disorder nearly 20 years ago. “My mania would start with me getting agitated and aggressive. I would often go days without sleeping,” she said. For many with bipolar disorder, periods of mania result from the brain creating a surge of chemicals making a person feel euphoric and sometimes irritable and angry. Bipolar disorder affects approximately two million adults in the United States each year according to the National Alliance on Mental Illness (NAMI). The disorder causes unusual and severe shifts in mood and energy and can impact the ability to manage routine tasks like going to work. Manic episodes can also result in impulsive behaviors. Though the experience of living with bipolar disorder differs for each person, Jackie compares it to an emotional roller coaster. After waves of excessive spending, compulsively lying and hoarding food, there was the all-too-familiar downhill plummet. “When you come down, you crash,” Jackie emphasized. Jackie lived on this bipolar ride for years, trying to escape by using cocaine and alcohol. Her symptoms got so bad that she could no longer work. Life hit an all-time low. Not knowing where else to turn, Jackie considered suicide. “It’s the scariest part of being bipolar. The depression that hits you at the bottom is unreal,” she said. Jackie was taken by a friend to the Southern Arizona Mental Health Corporation (SAMHC) where individuals experiencing a mental health crisis can receive immediate care. It was there that she met Dr. Nelson, an on-call physician who she later followed to CODAC. Since coming to CODAC in 1996, Jackie has learned tools to better manage the symptoms of bipolar disorder. With medication, peer support and therapy, Jackie sees life differently than when she was a young adult. Jackie hand crafts unique gourd birdhouses that are sold at the Tucson Botanical Gardens where she regularly volunteers. Jackie is very involved in various support groups and wellness activities offered at CODAC and in the community. 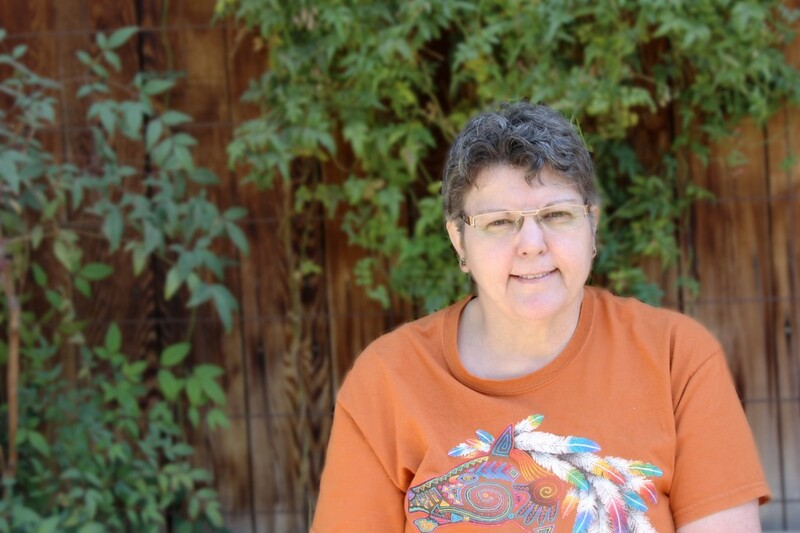 She finds peace in creative expression through art and volunteers her time at the Tucson Botanical Gardens where she co-facilitates a horticultural therapy group for others in recovery from physical and mental health disorders. Jackie has learned skills to cope with her symptoms and understands the significance in both receiving and giving support. “I have more than 18 years of recovery under my belt now, and with that I can advocate for myself and others,” she said. In reflecting on her experience with bipolar disorder, one of the most important lessons that Jackie has learned is self-acceptance. Jackie’s mental illness is no longer a turbulent ride, but a life-long journey to embrace. Jass S. ranked at the top of his class during his senior year of high school, only months shy of graduating with honors. His future looked promising, but no one could have predicted how quickly things would change. Without warning, Jass experienced the death of his father, developed mental health concerns, and started having problems with drugs and crime. In 2007, Jass sought support at CODAC to manage the grief of losing his dad. He participated in groups that taught him skills for how to cope and release the blame that families often feel when a loved one completes suicide. Shortly after his father’s death, Jass started hearing voices and developed paranoia. These were the first symptoms of what was later diagnosed as schizoaffective disorder, a mental health condition in which a person experiences a combination of schizophrenia symptoms such as hallucinations, delusions, and mania or depression. Jass was getting into trouble. It was difficult for him to control symptoms, which resulted in several conflicts with police and an escalating drug dependency. “The police knew who I was,” Jass recalls. “Once, when I wasn't on my meds, I couldn't be controlled,” he shares, describing an altercation at a grocery store that landed him in restraints and on his way to jail for assault. For Jass, jail is what ultimately motivated him to get his life back on track. CODAC members involved with law enforcement receive support from a specialized team known as the Criminal Justice Team who coordinate services between CODAC, courts, and probation officers. Jass’ team of CODAC staff, along with his probation officer, provided structure and collaboratively developed a plan that worked. He participated in groups such as anger management courses, which taught him the skills he needed to keep things under control. “The classes here have really helped me… I am done being in trouble,” says Jass as he reflects on how his involvement with law enforcement has ultimately been a positive experience. While in jail, isolated from his mom and brother, Jass was able to reflect on life and learned to value what was most important to him: family. The unconditional guidance and love provided by Jass’ mother, Ruzenka, and his brother, Damir, helped him to move past very challenging times. Jass is thankful for the support of his mother, Ruzenka, who has been influential in his recovery. After release from jail, Jass’ mother set firm boundaries and expectations, which included a zero-tolerance policy for drugs in their shared home. “Even though we are tough on him, we push him because we love him,” she adds. “If I mess up, I will get kicked out of the house,” he says jokingly. In these past seven years, Jass has made many changes and is determined to continue improving his life. Jass has actively eliminated unhealthy and triggering situations from his life including poor friendships, drugs and alcohol. Currently, he is finishing courses to obtain his GED and hopes to explore career options so he can find a stable job that he is passionate about. “I was a fighter all my life,” said Jay T., a 34-year-old CODAC member. Jay has faced more obstacles than most do in a lifetime. At the young age of two, Jay lost his brother to meningitis, nearly dying from it himself. That same year, his biological father died from a massive heart attack. Jay was born prematurely with a genetic chromosomal deficiency which impacted his development and daily functioning in many ways. “I am hearing impaired and I have a lot of genetic disorders,” said Jay. The chromosomal deficiency affects his mental health too; he lives with depression and was diagnosed with Borderline Personality Disorder as a young man. His treatment for these harmful behaviors began while living in Michigan. “I was going to the hospital nearly every other month,” Jay disclosed. In 2004, Jay moved to Tucson with his family. He began treatment at CODAC. Jay’s therapist, Susan Berg, MA, LPC, LISAC, played an instrumental role from the very beginning. “People who are diagnosed with Borderline Personality Disorder tend to see things either all good or all bad,” said Susan. To assist in changing this way of thinking, Susan implemented use of Dialectical Behavioral Therapy (DBT). “DBT is the considered the best practice for working with any person diagnosed with Borderline Personality Disorder or self-harming behaviors,” said Susan. Therapy was one component of Jay’s care, “It was a team effort to keep Jay healthy,” explained Susan in reference to the collaborative effort of CODAC staff. In addition to therapy and the right mental health medications, Jay also enlisted the faith-based support of the Celebrate Recovery program at his church and has volunteered over 3000 hours at the Northwest Women’s Center. This strong foundation of encouragement has certainly added to Jay’s recovery. “Jay has gone beyond my hopes. He is stable, he seems to be happy, and he has learned to like himself more.” Susan said. When asked what advice he had for others who are in their recovery journey, Jay said, “Just keep going. You will fall or stumble sometimes, but pick yourself up because this journey is not going to end, it’s just the beginning,” he assured. Jay’s journey hasn't been easy. The process of his recovery has taken years of hard work and dedication. He has learned self-acceptance and has found an abundance of joy where there was previously very little. He truly is a fighter. Just a few short years ago, Martin M.’s routine consisted of waking up to his wife and three dogs in his home in Waco, Texas. He would routinely turn on National Public Radio (NPR), brew his coffee, and head outdoors to work on landscaping. He imagined growing old, sitting in a rocking chair in the place he called home. He never anticipated all of the changes that were to be thrown his way in the few short months to come. 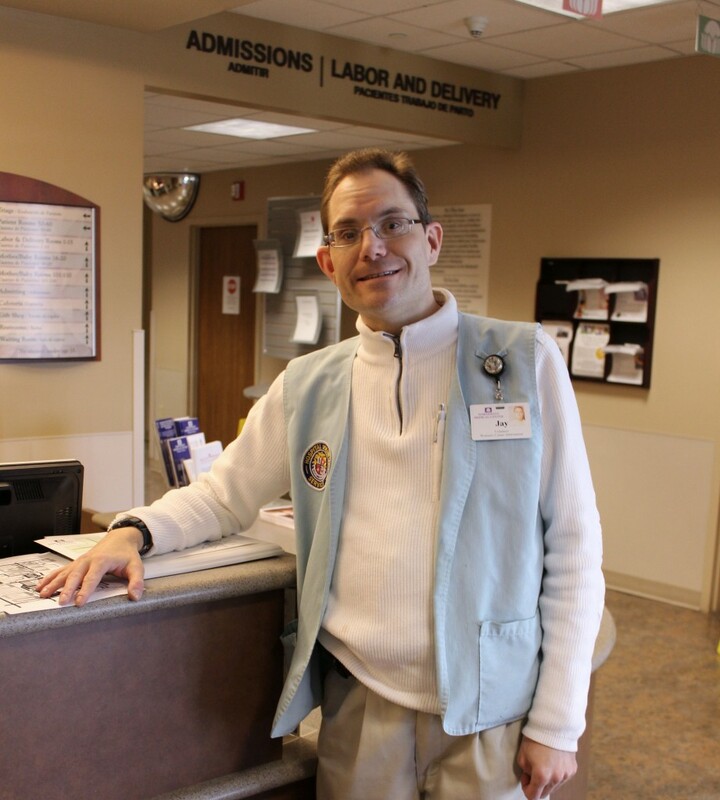 Martin had gained years of experience working as an x-ray technician in the U.S. Army. After he was out, he expanded his professional skills as an ultrasound technician where he has acquired over 15 years of experience. In the fall of 2011, Martin was offered a position as an ultrasound technician at St. Mary’s Hospital in Tucson. “I received a call from someone that I had worked with in the past… He asked if I needed work and I did, so I showed up here,” said Martin. The job at St. Mary’s Hospital fell through shortly after Martin’s move. It was the first in a series of unfortunate events that would impact Martin’s life. “Exactly one week later, I got a call from my wife notifying me that she was asking for a divorce,” Martin shared. Before he had time to comprehend the loss of a job and a marriage, Martin received a letter in the mail stating that his best friend had died from cancer. Blow by blow, Martin absorbed the shocking news. “Within just three weeks, everything I had come to know as my life was gone…My whole identity had been snatched away,” he said somberly. Martin recalled living alone in a bare apartment without any friends, family, or income. Depression and uncertainty settled in. “I remember being all alone in this apartment and stewing over everything that had just happened. I was an emotional wreck,” he confided. With money quickly draining, Martin didn’t know where to turn. At the prompting of his brother, Martin enlisted support from the Veteran’s Administration. “I was envisioning myself walking up and down the streets without knowing where I was going to go or how I was going to manage this,” he said. 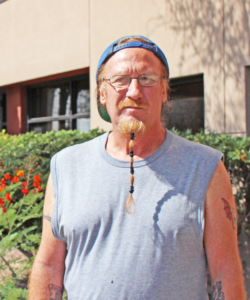 Martin had received a notice of eviction from his apartment complex, and without any income, was about to be homeless. It was by chance that Martin came across a flyer for Comin’ Home, transitional and supported housing for homeless veterans. It was a Monday that he placed the call inquiring about the services, and on that Wednesday, Martin became the newest resident. The timing worked out that Martin did not have to experience homelessness on the streets or in a shelter. However, for many homeless veterans, months are spent on the streets typically in conjunction with substance abuse, poverty, and— for some— criminal backgrounds. Many military occupations and training do not transfer into civilian life and place veterans at a disadvantage when looking for work. “This was all new territory,” said Martin when reflecting on his transition to Comin’ Home. The facility has housing units available for up to 52 individuals, and on average, most veterans stay for six months to one year. While at Comin’ Home, they receive assistance with medical, behavioral health, education, and job skills resources. Martin is learning how to read Braille at SAAVI where he is participating in vocational rehabilitation so he can find work. He hopes that with the proper rehabilitative training, and adaptive visual devices, he can find work as an ultrasound technician again. Martin still brews his coffee every morning as NPR pours in through the speaker in his bedroom. He still tends to his plants; though these ones reside on the window sill of his shared two-bedroom apartment. And he now goes outside every morning to smoke a cigarette with other veterans where they exchange wisdom and war stories before going on with their days. When asked about the biggest obstacle he faces in the future, Martin admits that it could be age related. “I’m no spring chicken,” said Martin, “But I can do what I can do.” He hopes that at sixty years old, his age doesn’t present a barrier for his goal of working again. Martin shared a metaphor that he heard on the radio about a violinist preparing to play a live concerto. He said that the violinist was prepared to begin their performance when one of the strings on the instrument broke. Instead of replacing the instrument or the string, the violinist announced he would still make beautiful music with what he had left. “I just thought was profound,” said Martin. He adopts this metaphor into his life – working with what he has left. Martin says that despite the setbacks he has encountered in his recent past, he is still fortunate. Melissa F., client of CODAC’s Young Adult Team. Melissa didn't have the opportunity to experience childhood the way most children do. In place of carefree, playful days, she experienced abuse and neglect. She adopted the role of parent to her siblings at a very young age. Both her mother and father struggled with addiction. At the age of 14, Melissa’s father died from a drug overdose. At the time, she and her siblings were living with him in Alaska. 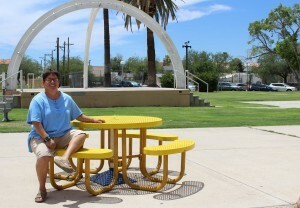 As a result, she and her siblings had no choice but to move back to Tucson to live with extended family: a transition that was difficult for them all. In the years that followed, Melissa began to slip into risky behavior patterns. She started skipping class to drink and do drugs. Though her drinking was slowly escalating, Melissa didn’t see it as a problem. “At the time, I never really thought it was a serious issue or that it would affect my life,” she said. Ready for a change, Melissa eagerly anticipated going to Hampshire College in Massachusetts where she received a full-ride scholarship. What she didn’t anticipate was the even further escalation of her addiction to alcohol. She started drinking nearly an entire large handle of vodka every weekend. Occasionally, she would mix alcohol with benzodiazepines, a sedative used to treat anxiety and insomnia. “I did it to cope. I had developed this cycle of finding myself very comfortable when I was drunk,” she said. “As long as I stayed drunk, there were no real feelings.” This pattern eventually landed Melissa in a life threatening situation where she was found lying in a bathroom unconscious by a friend. “I almost died,” she recalled. It was then that Melissa realized that she had been carrying the burden of emotional and traumatic events for a long time. Everything was beginning to surface. With slipping grades and many absences, the University’s Assistant Dean gave her two choices: go to rehab or risk being expelled. Fearing for her future, she entered treatment. Melissa was in inpatient rehab for an entire month for her alcohol addiction followed by inpatient treatment for an eating disorder. Throughout this process, she was diagnosed with major depressive disorder, generalized anxiety and PTSD along with bulimia and alcohol addiction. Depression is something she experienced throughout her life, but it was always brushed under the rug. “Buck up,” her family would say. “If I had dealt with some of those problems when I was younger, a lot less damage would have happened as an adult,” she stated. 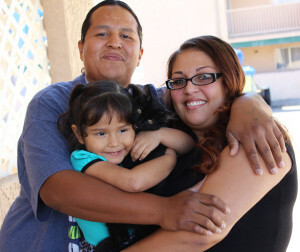 After her treatment and out of school, Melissa moved back to Tucson. 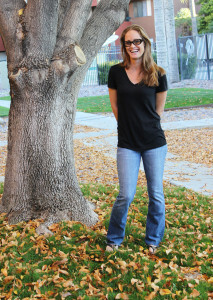 She experienced what many recovering from addiction do: relapse. “This period of my life was a very negative experience for me. I was not around a lot of positive influences and most of that time is a blur,” she shared. When Melissa turned 20, she went to visit her primary care physician and discussed her symptoms of anxiety. She was referred to CODAC and after explaining her needs to a care manager, she was referred to CODAC’s Young Adult Team (YAT). Young Adult Services at CODAC provides intensive outpatient services for individuals with mental health and substance use disorders geared specifically for ages 18-21. “I did not expect for things to be as life changing as they were going to be,” said Melissa. The one-on-one approach that the Young Adult Team provides is exactly the type of intervention she needed. This mixed media piece titled "Speak," won a prize at the Community Mental Health Arts Show last year. As Melissa looks towards her future, she plans to return to school to study child psychology. She is in the process of applying for the Recovery Support Specialist Institute where she can serve as mentor to others in recovery from mental illness and substance use disorders. “I think I can use those negative experiences to be someone with a lot more insight and strength,” she said in reference to helping others in a similar situation. She continues to promote the message of self-acceptance through art, a passion she has had since childhood. “Art is a release of a lot of emotional tension,” said Melissa. Though she didn’t initially have confidence in her work, the YAT nurtured her creativity and encouraged Melissa to enter her work into the 13th Annual Community Mental Health Arts Show where two of her pieces won prizes. Melissa continues to work on her recovery daily and utilizes the tools she has been taught to live a healthier life. She hopes to one day do the same for others in her career and through artwork. Sandie tasted her first sip of alcohol at the age of nine. The alcohol was provided by an adult family friend. Not long after, she was given marijuana by her stepfather; she was barely in the sixth grade. Perhaps they didn’t realize the potential impact of their seemingly small gesture. These were among the first encounters of what was to become Sandie’s twenty-five year-long struggle with drug addiction. Sandie’s drug use only intensified. By the time she was in high school, she had tried LSD, cocaine, mushrooms, and more. It was by chance that she discovered the drug that truly trapped her. “I was looking for cocaine with some guys I was hanging out with,” said Sandie as she recalled her first high from methamphetamine in her early twenties. Instead of using cocaine though, they supplied her with her first dose of crystal meth. After trying the drug just once, it immediately became her drug of choice. “Meth was what I had been looking for. It took the pain away,” said Sandie. Sandie’s past includes years of trauma and abuse from previous relationships. “The first thought that crossed my mind was that anyone could say anything to me, and it wouldn’t make me cry.” The numbing affects that methamphetamine had on her was something she will never forget, and for years, it was something she craved. The drug took control of her life. Sandie was arrested multiple times because of her substance use, but it didn’t stop her from using. “The first thing on my mind when I would get out is that I am going to get high,” recalled Sandie. Sandie is the mother for four: one boy and three girls. She doesn’t have custody of her children, and CPS is involved with all. She was never interested in stopping her drug use until the birth of her youngest daughter, Casey. It was then that Sandie chose to follow up with her initial intake appointment at CODAC. Walking up to the door at Mother’s Caring About Self (MCAS), an intensive outpatient treatment facility, was one of the most intimidating moments in her life. When there was no immediate answer after ringing the doorbell, she contemplated turning back. Just before she did, a friendly staff person answered the door. “I am here for my intake,” Sandie said bravely. 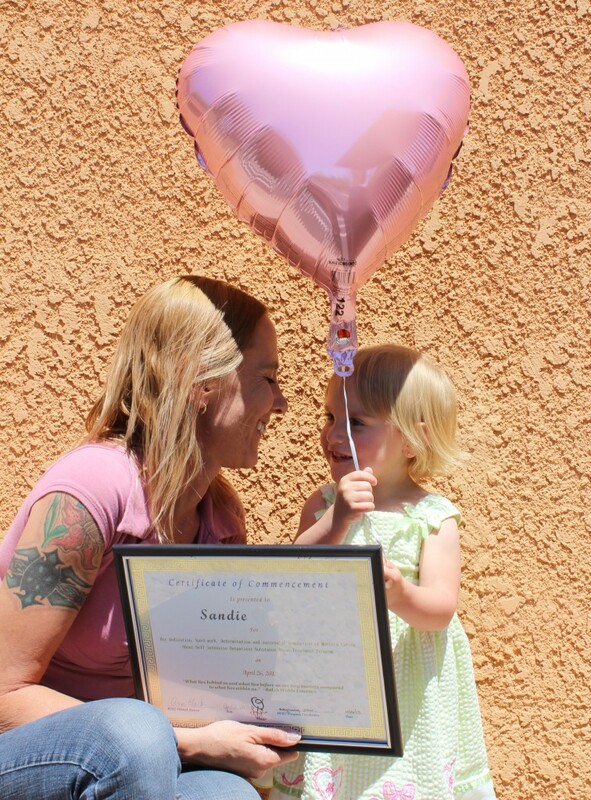 Sandie has now been a member with MCAS for nine months. Her recovery has had a few setbacks but those are far outweighed by her self-growth and dedication. It is through honesty that Sandie has experienced a breakthrough in her journey of sobriety. Relapse oftentimes happens in recovery, and when Sandie relapsed and used meth for three days in September of 2012, she had the opportunity to lie. However, when she walked back through the doors of MCAS with her husband, Sandie was greeted, not by judgment, but with genuine care. Sandie confessed that she had relapsed and was comforted in knowing that she will still have the support she needs for treatment. “I learned that [the staff] isn’t going to attack me and that they are here to guide me through this. I really love MCAS,” said Sandie. She revealed that her greatest support comes from the team at MCAS, not only from the staff, but from the women there as well. Sandie has formed deep friendships with others in recovery who have endured similar life experiences. She has many goals for herself and her recovery and she knows that it will take hard work to accomplish them. 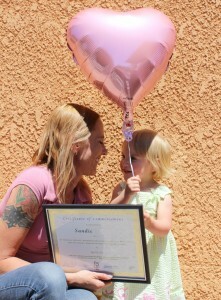 Sandie celebrates her commencement from the Mothers Caring About Self program with her daughter. Sandie is currently in the process of applying for a job in the veterinary field. She has a passion and love for animals. Both Sandie and Blue share similar stories. 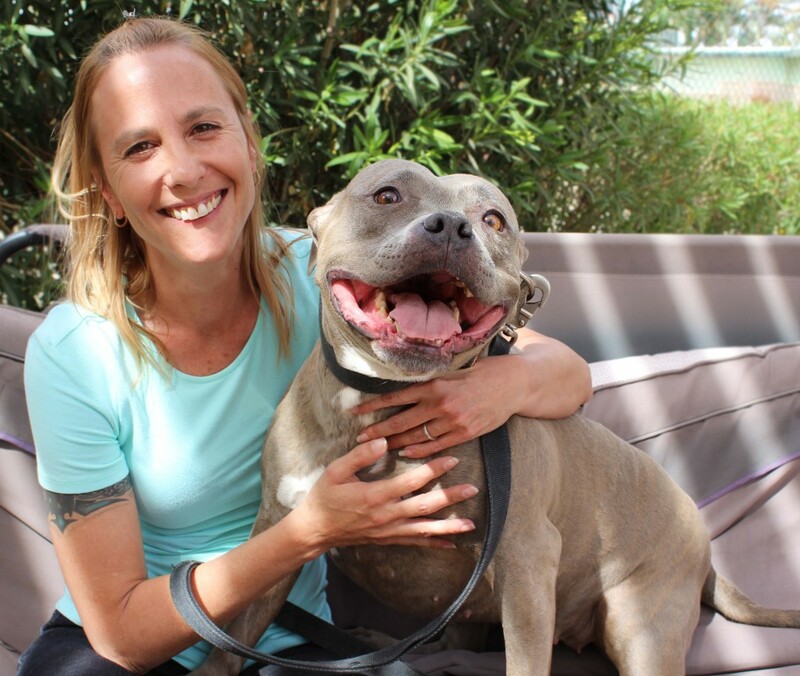 Blue was rescued by Sandie from an abusive owner. They have helped each other heal from a traumatic past. Sandie hopes to one day have her own dog rescue where she can assist in the recovery of animals while she continues on with her own recovery journey.